Zifa president Philip Chiyangwa and his executive have been summoned by the parliamentary portfolio committee on Sport, Education, Arts and Culture, amid disaffection from stakeholders over the management of football in the country. Chiyangwa, according to the parliamentary schedule, was supposed to appear before the committee chaired by Zanu-PF Matobo North MP Never Khanye last Thursday to explain how he was running the association, amid allegations of plunder and failure to adhere to corporate governance by his administration. But the Zifa president did not turn up, forcing the meeting to be moved to this week. The Sports and Recreation Commission (SRC) has also indicated that all is not well in football administration in the country. Although Khanye was unavailable for comment yesterday, a member of the portfolio committee confirmed that the MPs were keen to grill Chiyangwa and his executive, with key interest on the development of the game, welfare of players, creditors and the general administration. "A lot is not well at Zifa and as MPs, we have a duty to ensure everyone is held accountable, including Zifa, hence we are summoning the president and his team to tell us what it is that they are doing," said an MP who requested anonymity. In the past two weeks, Standardsport has exposed the rot at Zifa, with investigations suggesting that Chiyangwa and his executive have employed unorthodox means of shielding the association from creditors, even to the extent of using cronies. The reportage has attracted a threat of litigation from Chiyangwa after we published that some associates of the Zifa president were allegedly running Zifa and selling the association's assets — exposing creditors and the football community to deprivation of assets and funds. Of note has been an allegation that Zifa, through its subsidiary, Zifa (Private) Limited, has been trying to "fraudulently and corruptly" sell one of its properties in Harare to a questionable company as a way of avoiding paying its creditors — although the same asset had been sold by the sheriff of the High Court to pay the association's creditors. The sale of the property was being handled by one Marshal Jonga — who is said to be a worker at Chiyangwa's company. The matter is now at the High Court with the person who had bought the house from the sheriff of the High Court — Max Haivo Electrical and Hardware (Pvt) Ltd — challenging the move by Zifa to "fraudulently" sell the house to Olive Touch Investment. Yesterday, the SRC acting director-general, Joseph Muchechetere told Standardsport that the country's supreme sports regulatory body would soon meet and Zifa was on the agenda. "What we are trying to do at the moment is to convene a meeting of the SRC board so that it is able to look at what is happening at Zifa," Muchechetere said. "Currently, what we have are the media reports and we really appreciate the fact that the media is playing its role by carrying out such inquiries and investigations. "We will also try to get to the bottom of the matter and we are in the process of gathering all the information, both from reports that have come out in the media recently and other sources. I can assure you that at the next meeting of the SRC board, all the issues will be deliberated on." Muchechetere said the SRC had conducted its own inquiry on Zifa and presented their findings to the association in July, but were still waiting for a response from the local football mother body before releasing the report to the public. "The SRC also did its own inquiry into the operations of Zifa and a report was compiled but we are waiting for the football mother body to come back to us," he said. "You will recall that we wanted to release the report to the public, but at the time the Zifa president was out of the country and they requested that we give them time to look at the report before they respond. We have made another follow up with them and we understand they have recently been busy with Cosafa Women's Championships. Nevertheless, we are still waiting for Zifa to play its part as we are very serious about the issue and we want to release the report to the public." 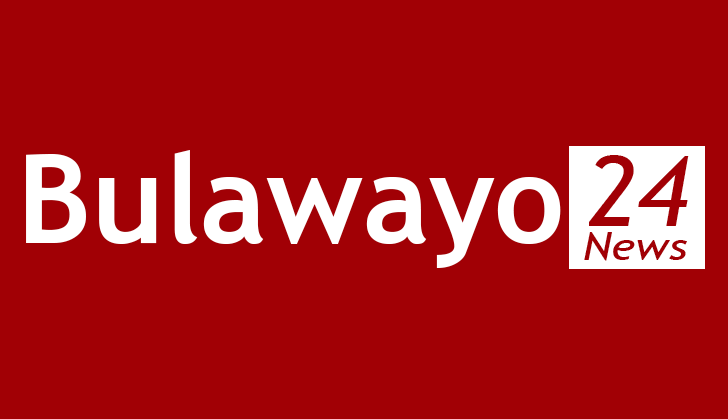 According to insiders, the report released in July condemned the way Chiyangwa was running football in Zimbabwe, especially the separation of powers between the executive committee and the secretariat. The commission is believed to have expressed concern at the fact that all the deliberations and day-to-day running of the association were being done by the executive committee instead of the secretariat, despite Zifa having recently appointed Joseph Mamutse as the chief executive. Already, clubs in the women football league are not happy with the way soccer is being managed in the country and last week met to deliberate on the situation. The clubs resolved to boycott kicking the ball until their complaints are dealt with. Among their grievances, the women football administrators were not happy with the number of men who were involved in the organisation of the just-ended Cosafa Women's tournament, which was chaired by Zifa vice-president, Omega Sibanda. The women football administrators alleged that they were less-represented and some of their members were "unjustifiably" removed from the local organising committee on "flimsy charges". But Sibanda denied the allegations that women were side-lined, insisting that all was done according to the constitution and female sports administrators were involved. "It's a lie being peddled by people who have an agenda, which is not sport development," Sibanda said.